From Jamie Ford, author of the beloved Hotel on the Corner of Bitter and Sweet, comes a much-anticipated second novel. Set against the backdrop of Depression-era Seattle, Songs of Willow Frost is a powerful tale of two souls—a boy with dreams for his future and a woman escaping her haunted past—both seeking love, hope, and forgiveness. 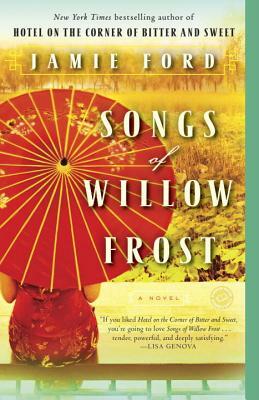 Shifting between the Great Depression and the 1920s, Songs of Willow Frost takes readers on an emotional journey of discovery. Jamie Ford’s sweeping novel will resonate with anyone who has ever longed for the comforts of family and a place to call home. The son of a Chinese American father, Jamie Ford is the author of the New York Times bestselling novel Hotel on the Corner of Bitter and Sweet, which won the Asian-Pacific American Award for Literature. Having grown up in Seattle, he now lives in Montana with his wife and children.